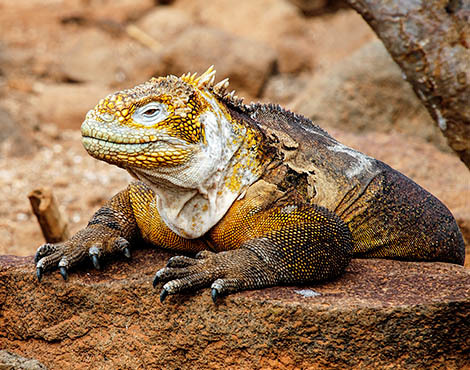 The Galapagos Islands that you see today are very different to those visited by Charles Darwin on his famous voyage to the Archipelago almost 200 years ago. Since then, it is estimated that over 1,500 non-native species have been introduced. Some of these, such as rats, feral cats and the Philornis fly have had devastating effects on the native wildlife, causing local extinctions on several of the islands. Islands are particularly vulnerable to biodiversity loss. 80% of global extinctions have occurred on them, usually due to introduced mammals. Extinction is one of the greatest challenges that we face globally and we do not want to see this happen in Galapagos. 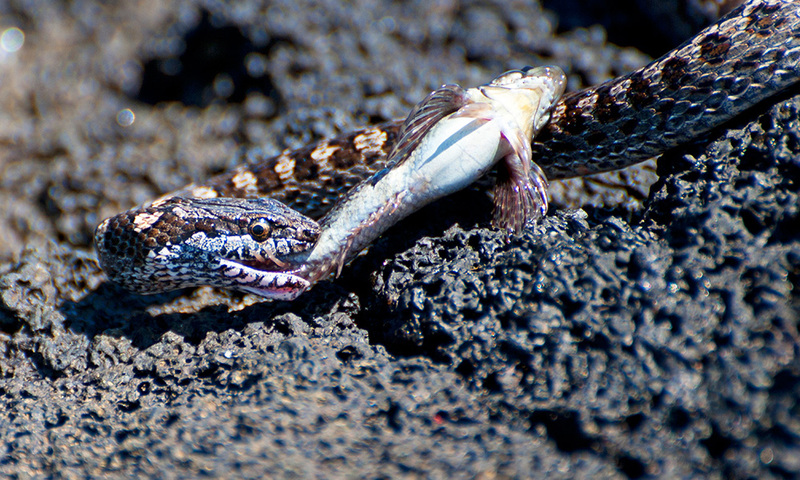 Nowhere is the threat of invasive species more evident in Galapagos than on the island of Floreana. 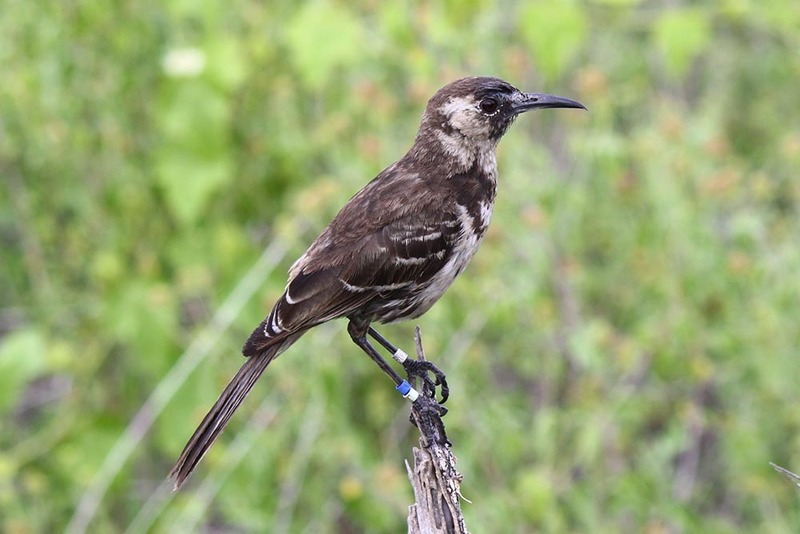 Floreana has lost large areas of its original habitat, which is in part due to invasive mammals, and 12 endemic species, including the Floreana mockingbird, are now locally extinct due to rats and feral cats. There are also a further 55 native species under threat on the island itself. Our task is to prevent extinction, to save species. That may sound impossible, but you can help today by donating. 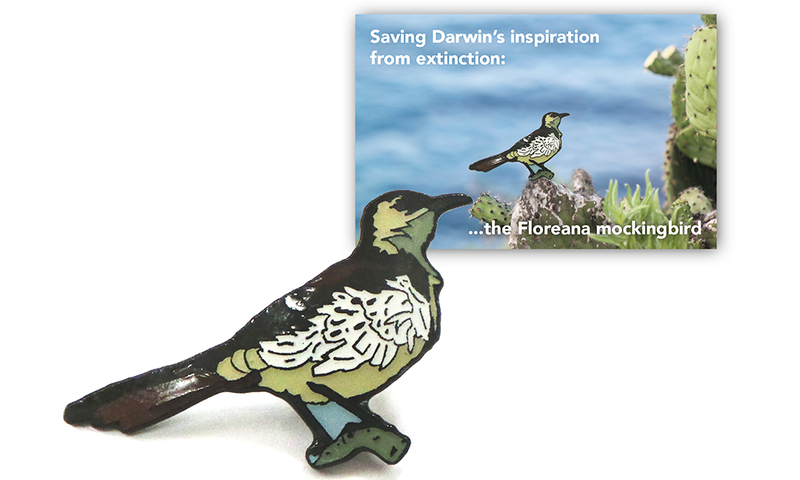 Back in Charles Darwin’s day, there were enough Floreana mockingbirds on Floreana to inspire his theory of evolution. Today, however, the population of this charming bird is now just several hundred individuals which are restricted to two tiny islets off the coast of Floreana – Champion and Gardner – leading to its classification as critically endangered. With so many changes occurring in Galapagos, both human- and climate-driven, it wouldn’t take much for the species to become extinct. They could have a chance of recovering, however, if they could return home to the larger island of Floreana. In order to survive there, we need to restore their habitat to a healthy level. Another species at risk is the critically endangered Galapagos petrel. These used to be found all over Galapagos but now you’re unlikely to see these sea birds unless you’re very lucky. They have suffered a rapid population decline since the 1980s and the majority are now only found in the highlands of Floreana. Due to the lack of native land predators, Galapagos petrels evolved to nest on the ground. This makes them easy targets for introduced rats and feral cats which feed on their eggs and chicks. In fact, rats are thought to be responsible for over two thirds of chick deaths each year. The petrels only lay one egg a year so in order to guarantee their, and many other species’, survival these invasive mammals need to be removed completely. With a strong partner network including the Galapagos National Park, Island Conservation, Dr Luis Ortiz-Catedral, the Floreana community and Durrell Wildlife Conservation Trust we have plans for an ambitious island restoration project on Floreana. 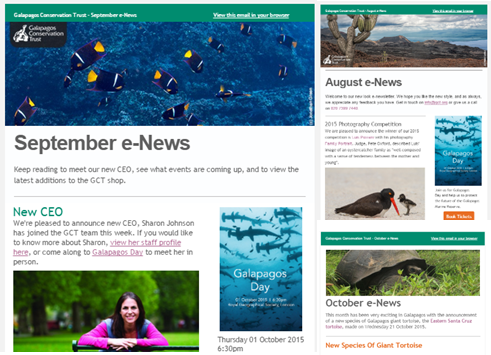 It’s a huge task to restore an entire island, and that’s why we so urgently need your help. Your gift of £50 will help us restore one hectare of land in Floreana. 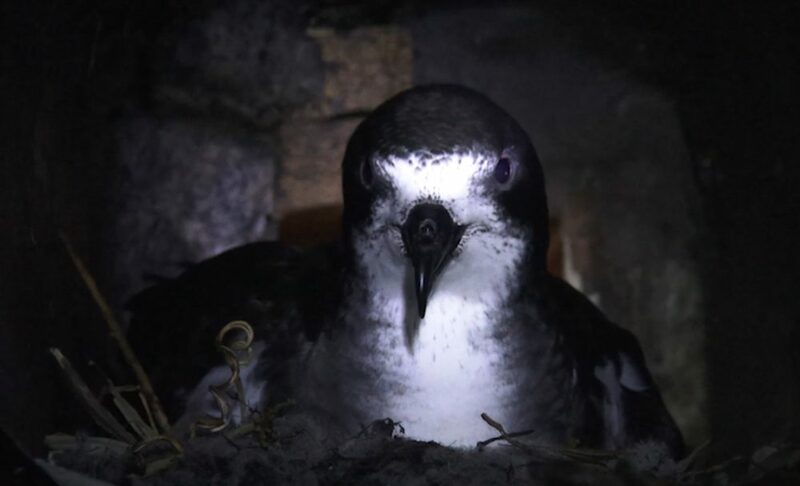 It’s an ambitious aim – to eradicate invasive mammals and restore the natural habitat of Floreana – but it needs to be done in order to help critically endangered species like the Galapagos petrel. 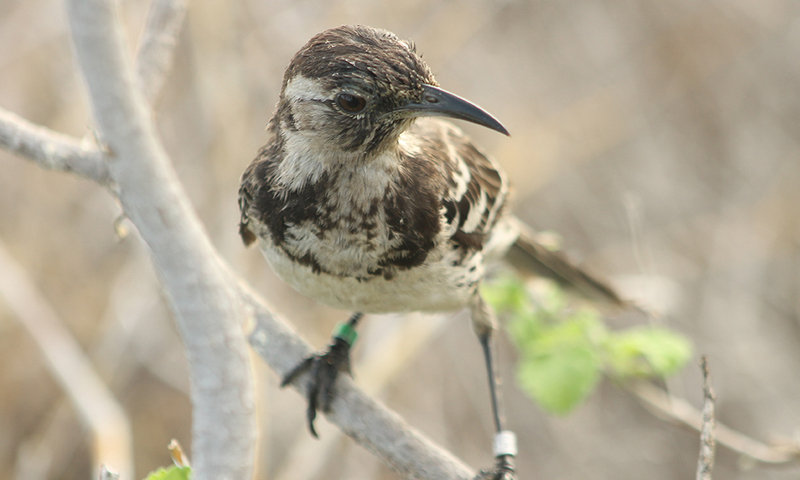 We can then reintroduce species like the Floreana mockingbird that were wiped out by rats and cats. You can help support this work today, but you’ll be doing much more than that. The work you help make possible on Floreana, can become a blueprint for conservation projects worldwide. Please make a donation now, and together we can ensure a future for Floreana and its wildlife. Yes, I would like to make a donation to help ensure a future for Floreana and its wildlife! This video from Luis Ortiz-Catedral, Floreana Mockingbird Project leader, sums up the importance of this appeal.